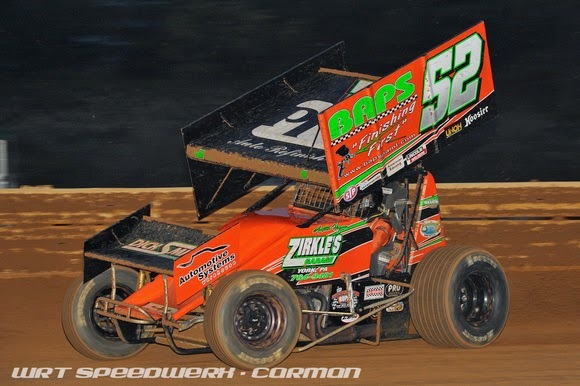 CENTRAL PA RACING SCENE: 2014 Readers Choice 410 Rookie of the Year. The 2014 Central PA R acing Scene 401 Rookie of the Year is up next. This year we saw a banner crop of young rookies jump up to the 401 division. 3 rookies where able to find victory lane this season with 2 of them at Lincoln and 1 going to Lernerville to claim his first 410 vctory. With that said here are your nominees for the 2014 Rookie of the Year. Freddie Rahmer - 2 top 5's this season for the 2nd generation driver. 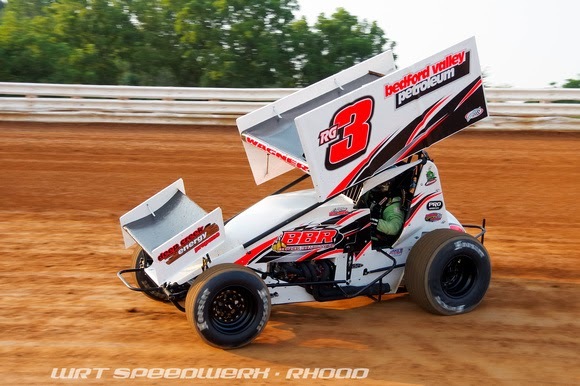 Freddie was the highest finnishing Rookie in points at Lincoln Speedway. Austin Hogue - 1 win for the 2013 Central PA 358 Point Series Champion. 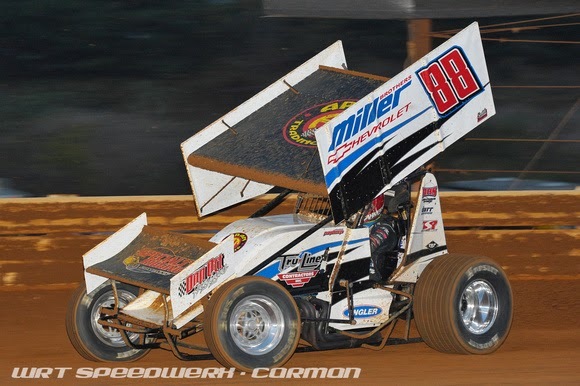 He backed that win up with a 2nd place finish in the last race of the season at Lincoln as well with a 2nd place finish at Williams Grove Speedway. Tim Wagaman - Tim would win the 3rd annual Brandon Little Memorial for his 1st career 410 feature win. Tim would have 1 other top 5. 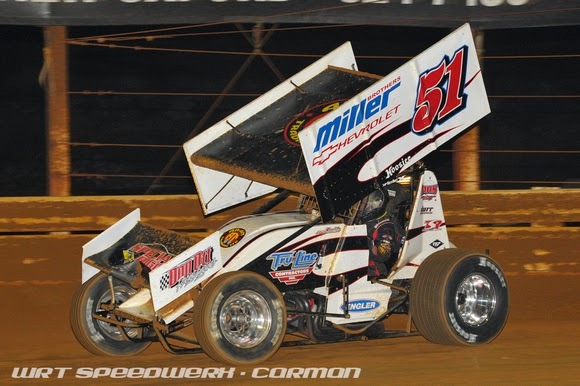 Finished 10 at the Kasey Kahne Race and finished 15th in points this season at Lincoln Speedway. Logan Wagner- This 2nd generation driver would move up from the 305 division and win his 1st career 410 feature event at Lernerville Speedway. 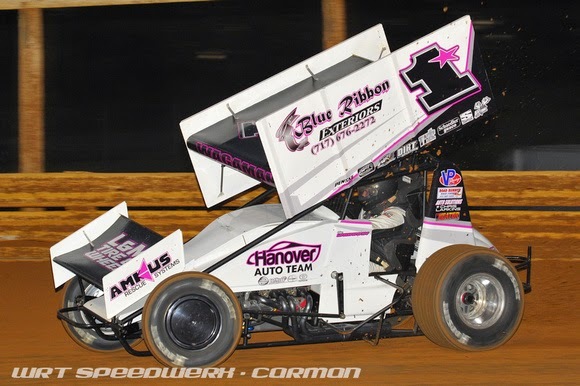 Logan almost had a feature win as well at Port Royal. He would finish 15th in the 410 points at the race track. Brandon Rahmer- Brandon would complete his 1st season in the 410 division 18th in the final point standings with 1 top 10 to his credit. There you go fans. Your top 5 410 rookies for the 2014 racing season. As always the poll is on the top right hand side of the web site. If you are voting on your smart phone you will have to go to the full site to vote as the mobil site does not show the entire web site.